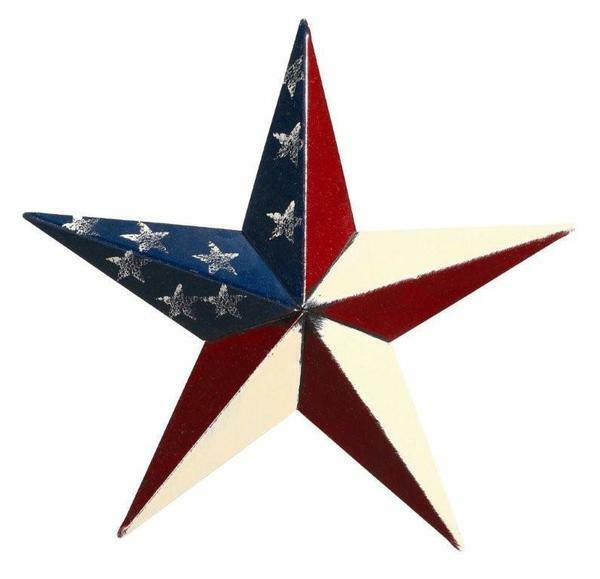 Amish Painted Patriotic American Barn Star 16"
Red, white and blue with stars and stripes, the Amish 16" Patriotic Painted Barn Star makes a great addition to your outdoor decor. For barn, home front or garage, barn stars add a cozy and warm welcome. Browse a variety of Barn Stars in different sizes and colors to find the perfect match for your home. (Item 9022) Amish Painted Patriotic American Barn Star 16"